"Washington, DC lives, breathes and grows through its Comprehensive Plan—a 20-year framework that guides city development and is fueled by input from city residents." 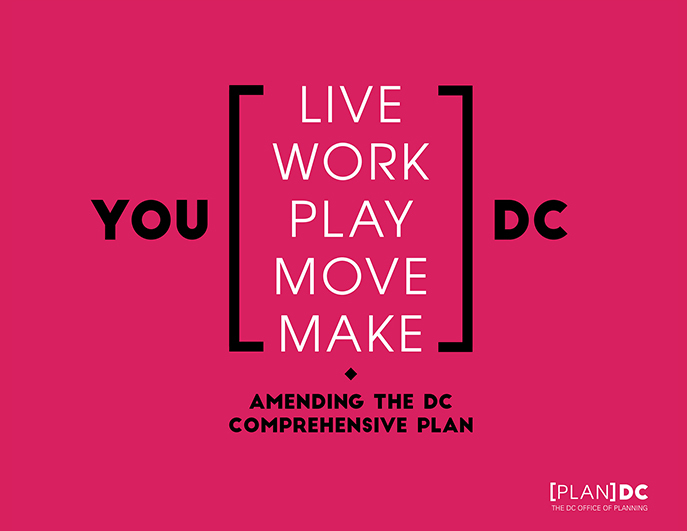 One of the DC Office of Planning’s (OP) critical responsibilities is to produce the Comprehensive Plan, a 20-year, city-planning framework that is regularly amended in consultation with local residents. 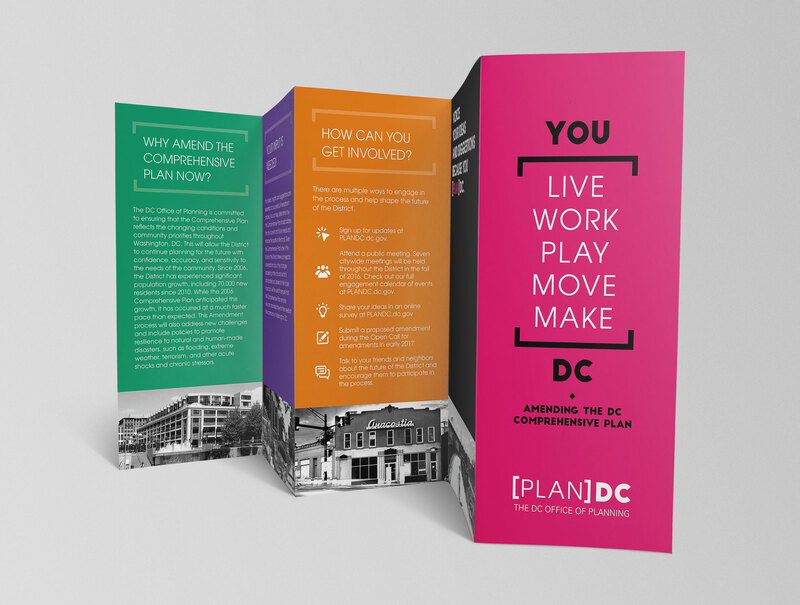 The Plan provides the overarching guidance on how to design and execute D.C.’s near and future growth. The OP engaged Seaberry to create the community outreach and advertising campaign strategy and materials to encourage a broad public conversation about the Plan and its latest cycle of amendments. The District has seen major changes in its neighborhoods since the last amendment process, triggering the need for a second amendment cycle. 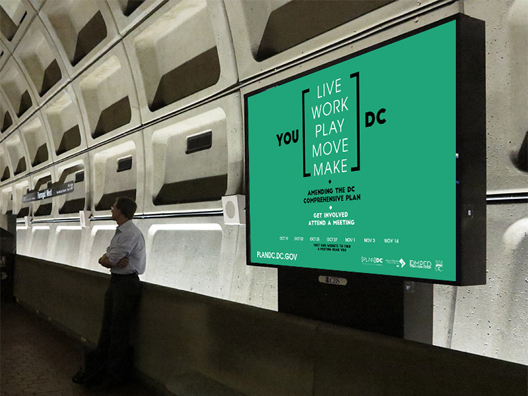 We were commissioned to create an effective campaign to advance OP’s mission by alerting and inspiring D.C. residents and other stakeholders to fully participate in the civic conversation. Public engagement is a key component of the amendment cycle. The OP is required to seek the public’s input and to ensure the Plan is contemporary and responsive to the needs of every citizen. To accomplish its goal, the Seaberry team needed to help the OP lay the groundwork for public participation in all eight wards, ensuring that community concepts and concerns were heard and included in the Plan. Research revealed something special about the character of Washington, D.C. Every effort to improve city life, especially through development, is keenly scrutinized and frequently criticized by city residents. D.C. "localism" is at an all-time high. Citizens are personally attached to the city’s soul, and no call to action to plan the city's future would be answered without outreach to the individual or the "YOU". 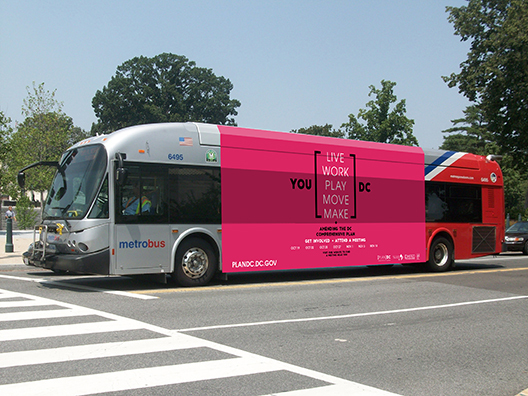 Seaberry developed the [PLAN]DC campaign around what is arguably the most powerful word in the English language, “YOU”. This was the way to recognize every citizen’s investment in the city and to minimize the feeling among residents that city government often speaks and acts without listening. Additionally, Seaberry wanted to ensure residents understood the power of "YOU" in the amendment process and in the energy that ultimately drives the District of Columbia. The campaign gives residents power through the use of active verbs that are the signature actions citizens take in their daily lives. This is the energy that drives the city and its development. The power of the pronoun "YOU" followed by action verbs, LIVE, WORK, PLAY, MOVE, MAKE, simply and beautifully describes how people influence D.C. Brackets were used to encapsulate action without adornment and to focus the energy of the verbs as central to city life. 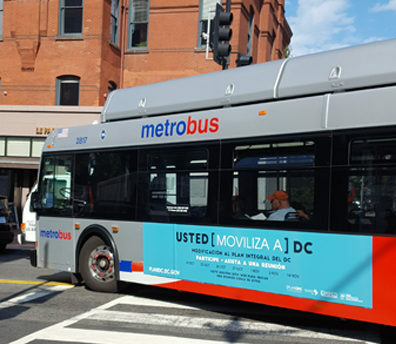 The overall design of [YOU + verbs + DC] laid the groundwork for the breakout of individual actions that would be used to create a campaign that included advertising in Metro stations and on Metro buses. 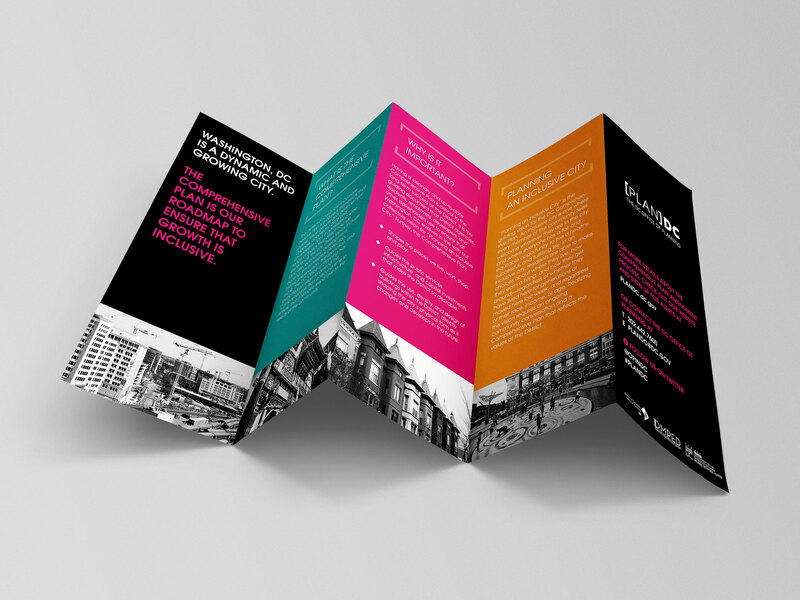 Each action, bracketed and immersed in its own color field, ensured that the audience of more than 1 million residents and commuters received continuous messaging on their critical role in the planning process. The campaign was also supported by Seaberry-designed maps, brochures, meeting announcements and newspaper ads.